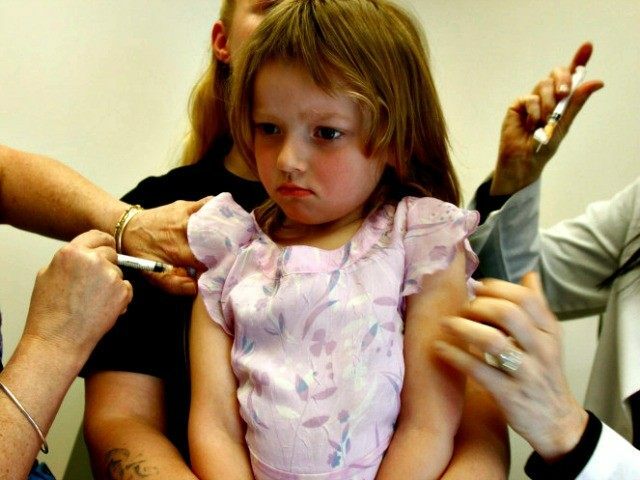 In the midst of the Disneyland measles outbreak, California legislators have been decrying the number of under-vaccinated children in schools in a push for legislation that would strip parents of the right to choose whether to vaccinate their children. However, California Department of Public Health (CDPH) statistics show that “personal belief” exemptions account for only 2.54% of under-vaccinated California school children. Fully-vaccinated children accounted for 90.4% of all school children at the beginning of the 2014-2015 school year, but another 6.9% were enrolled as “Conditional Entrants.” Conditional entrants are those children in the process of being fully vaccinated but not yet having all required vaccinations. Some of these children may be too young for certain required vaccinations at the school year’s start, but are admitted under the condition of acquiring and submitting records for those vaccinations as they become eligible during the course of the year. The Centers for Disease Control and Prevention (CDC) reports the level of measles vaccination required for “herd immunity” is upwards of 90%. CDC states, “herd effect generated from high immunization rates significantly reduces the risk for disease for those individuals.” CDPH reports a measles vaccination rate at the beginning of the 2014-2015 school year of 92.6%, a small increase from the 2013-2014 school year. Introduced to the California legislature in February, SB 277 would end “personal belief” exemptions. 26 Democrat sponsors and two Republicans have already agreed to support the bill. CDPH reports reveal a decrease in the number and percentage of Personal Belief Exemptions on record from the 2013-2014 to the 2014-2015 school year. That applies to records for both Kindergarten and 7th grade students. Personal belief exemptions are also down for California childcare facilities. Kindergarten vaccination records indicate only 0.52% of California kindergarteners have been exempted from some or all shots based on religious belief–approximately 2,700. Other “personal belief” exemptions, about 8,700, are based on a “Health Care Practitioner Counseled” basis. Parents in the Sonoma County and Bay areas included in a study released earlier this year were found to have the greatest levels of under-vaccination among graduate level-educated and low-income communities.